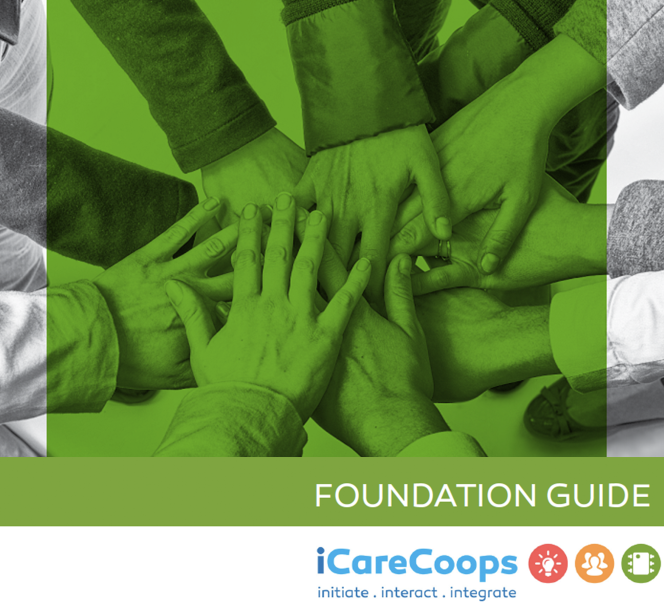 Cooperatives Europe, together with the iCareCoops project consortium, has released a new “Foundation Guide” – a guidebook to support the creation of innovative older people’s care cooperatives. As Europe is facing an ageing population predicted to double in size over the next 40 years, concerns of poor quality, profit-driven services of care are mounting. Cooperatives can reimagine the future of care, offering a dignified solution for quality care through an innovative, participative and democratic business model. Thus, the untapped benefits of developing cooperative projects in the care sector cannot be underestimated. Presented at the dedicated event “Cooperatives and innovation – building the future of care in Europe”, the guidebook supports new and future entrepreneurs in developing their cooperative projects in 6 steps. The guide, based on the Best Practices report written by Cooperatives Europe, also comes with an extensive section on complementary resources from across Europe, as well as a list of national support contacts, who provide cooperative entrepreneurs with advice and support for the development of their business. The two-day event held in Brussels on 28 & 29 saw European and Belgian stakeholders explore the landscape of care and experiment with the innovative solution produced during the iCareCoops project. While a discussion was held on the challenges of the care sector, the attention was also brought to the innovative aspect of cooperatives in developing the collaborative economy through building links between care, the cooperative sector and novel IT solutions, as demonstrated by the iCareCoops project. The IT solution itself is made up of the iCareCoops mobile application and a web solution, connecting the cooperative, cooperative managers, care givers and care receivers for a smoother communication between the different actors involved in older person’s care. View the presentations from the 2 days here. Access the guidebook in documents below. Click to view the ICareCoops factsheet in English and French.